← Calgary, Canada. January 12th, 2010. 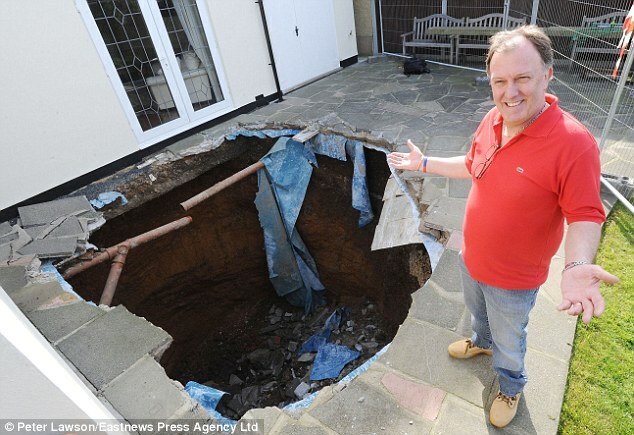 A father-of-two has narrowly avoided being sucked into a massive sinkhole which formed a 25ft deep crater in his backyard just seconds after he walked across it. 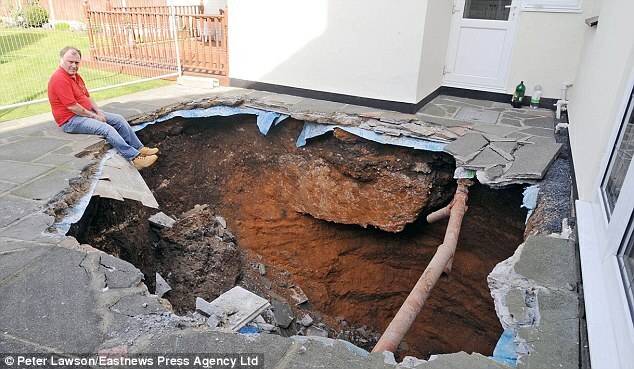 Electrician Ben Luck lived up to his name after the crater, measuring 20ft wide, swallowed up most of his patio just as he went inside his house. Mr Luck, 57, and his wife Jean, 55, initially thought a car had crashed into their three-bedroom home. ‘It was like an earth quake, there was a rumbling and we both ran out to look and there just a couple of steps away there was this monstrous hole,’ Mr Luck said. The couple and their children immediately fled their house and have since had to move into a hotel. ‘I was terrified, I was shaking. I told my wife to run. I was worried the house would fall into it, I still am, Mr Luck said. This entry was posted in Pictures and tagged sinkhole, United Kingdom. Bookmark the permalink.